Researchers have successfully engineered cardiac tissue in the laboratory that could be used as an in vitro surrogate for human myocardium and for preclinical therapeutic screenings. Tissue which bridges the gap between animals and human subjects has been developed in the laboratory for some organs but creating such models for the heart has proved elusive. 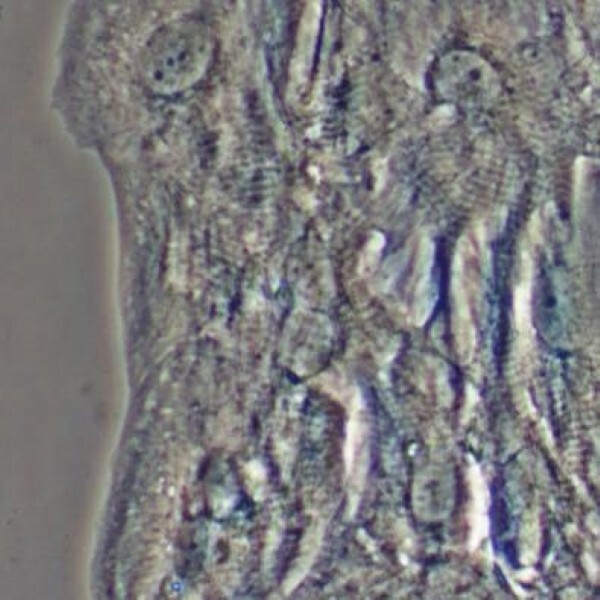 The tissue developed in the new study was generated from human embryonic stem cells and the resulting muscle is significantly similar to human heart muscle. The research, which was published in the February 2014 issue of The FASEB Journal, was conducted at the Cardiovascular Cell and Tissue Engineering Laboratory, Cardiovascular Research Center, Icahn School of Medicine at Mt. Sinai, in New York, NY. Researchers cultured human engineered cardiac tissue (hECTS) for seven to ten days. They self-assembled into a long, thin heart muscle strip that pulled on the end-posts and caused them to bend with each heartbeat. The tissue was thus exercised throughout the culture process. Spontaneous contractile activity was displayed by the hECTS, in a similar manner to the human heart, and they responded to electrical stimulation. Some of the functional responses known to occur naturally in the adult human heart were also induced through electrical and pharmacological interventions. Some paradoxical responses displayed by the hECTS mimicked the behavior of the immature or newborn human heart. It was also discovered that the hECTS were able to incorporate new genetic information carried by adenovirus. Kevin Costa, one of the researchers at the Icahn School of Medicine, commented: "This could help revolutionise cardiology research by improving the ability to efficiently discover, design, develop and deliver new therapies for the treatment of heart disease, and by providing more efficient screening tools to identify and prevent cardiac side effects, ultimately leading to safer and more effective treatments for patients suffering from heart disease." Gerald Weissmann, editor-in-chief of the FASEB Journal, said the new tissue model could be the best yet developed on which to test therapies and model deadly diseases.